After 5 years of being a vegetarian I pulled the hiatus while backpacking in South East Asia, it was hard to travel with a specific dietary requirement, my diet was impeding my health as I was trying to balance an active lifestyle running and the resources that was available in my locality. Regardless I’ve since decided to adapt Meat Free Monday, I do it because of sustainability. It takes vast amount resource to produce meat; water, methane production,less use of growth hormone, antibiotics, chemicals. I’m not at all against eating meat, but it’s the method that is wrong to me, ethics is another reasoning. I can go forever talking about this, but I wont. I’m going to add one last bit though, “It cuts me every time I see waste, people over ordering and leaving bits to waste. It’s not uncommon to see chicken parts, half a fish, being left to be chuck in a restaurant, seriously. Think about it!. The living thing died in vain for the sake of your disposal, lovely. Live within your means knobhead” WOOOHAA..Okay I’m letting go now. The world does not belong to me, nor does it belong to you. So if you want to wreck it, make sure you can explain it you the generations ahead. Now back on track, what do you cook when you’ve accidentally invited a vegan over for dinner? Here’s an idea, get a couple packs of silken tofu and few bits and bobs to the rescue and you’ll have yourself a irresistible dish for the night. Taaadaaa! 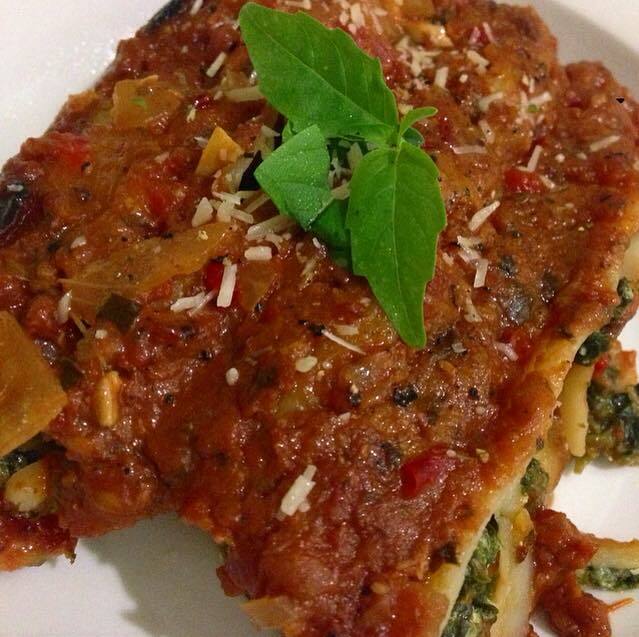 Vegan Cannelloni! 1 large garlic clove, crushed. 2 tbs finely shredded basil. 700ml tomato based pasta sauce, I prefer making my own but store bought. works too. Preheat oven to 180 degrees celsius. 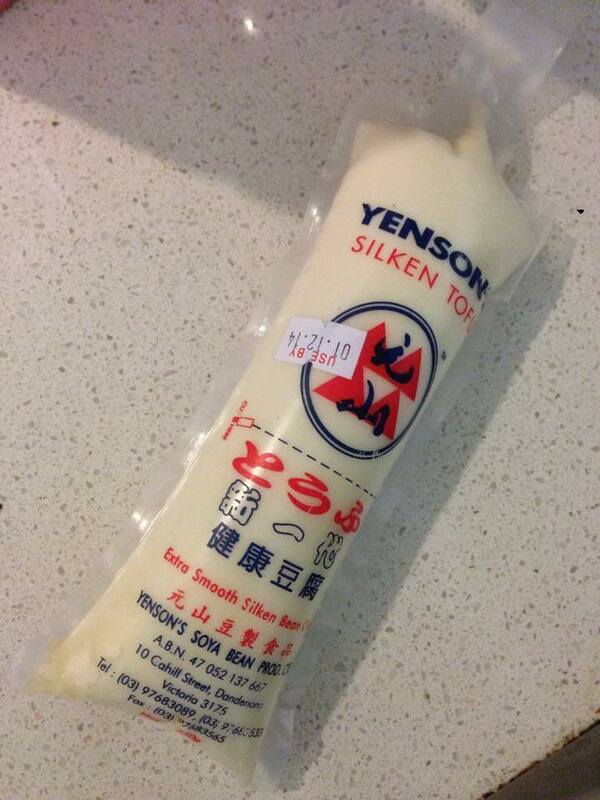 Mash up the silken tofu in a bowl with a fork. Add spinach, garlic, basil, season with salt, pepper, nutmeg and mix well. 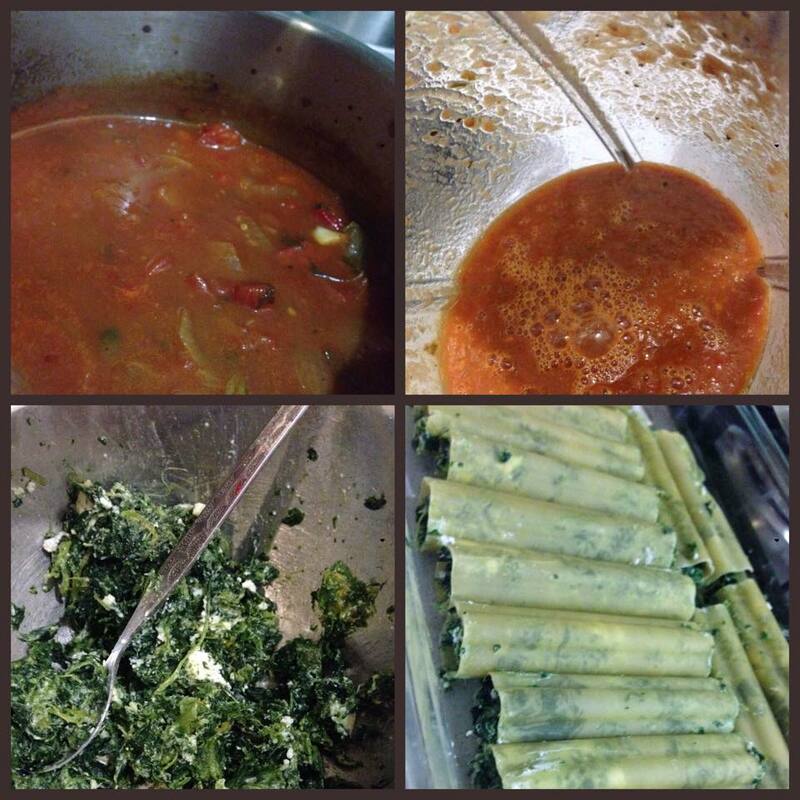 Fill dry cannelloni tubes with spinach mixture. Place tubes into baking dish in a single layer. Pour pasta sauce over filled tubes ensuring you cover all the pasta. Drizzle over olive oil, sprinkle with freshly ground black pepper and cheese (if you’re going non vegan). Cover and bake in preheated oven for approximately 20 minutes. Uncover and bake for a further 20 minutes, or until top is crisp and pasta is tender when tested with a skewer. Serve with garlic bread and a fresh green salad. 6 cups chopped, peeled tomatoes, canned or fresh. 3/4 cup dry red wine or veggie stock. 1/3 cup chopped fresh basil. 1 cup sliced fresh mushrooms *optional. Black pepper or Chilli flakes to taste. Heat olive oil in a large saucepan over medium heat, add the onion and cook until tender. Stir in the garlic, tomatoes, wine/stock, carrots, parsley, basil, sugar, and salt. Bring sauce to a boil. Reduce heat and simmer, uncovered, for one hour, stirring frequently. Add in cracked black pepper or chilli flakes to taste followed by sliced zucchini and mushrooms. Simmer for about 20mins or until sauce is thick. Blend the sauce in the processor if you prefer a less chunky sauce. *Sauce can be kept frozen for up 6weeks until to ready to be used. I would recommend storing it in small batches to use whenever needed.